Activity tracker can replace any daily activity tracker. Hazard view for locations and bunker distances. Only 10 hour battery life in GPS mode. Some wrist heart rate inaccuracies reported by some users. Performance Rating: 4.5 of 5 stars. Build Quality Rating: 4.5 of 5 stars. Look & Feel Rating: 4.9 out of 5 stars. Price Rating: 4.1 of 5 stars. The Garmin Approach X40 is a stylish, slim golf band with GPS enabled capabilities that provides golfers with exact distances to greens and hazards. With over 40,000 courses already built into it, it makes effective tracking on even the not-so-popular courses possible. One of the features that stands out on the Approach X40 is the AutoShot game tracker, which automatically tracks your shots on the fairway and measures their distances. Golfers can then view their stats on the Garmin Connect app. The Approach X40 also has the standard activity tracker capabilities that include monitoring your heart rate, and providing smartphone notifications to help you track your active lifestyle. Garmin Connect post-round analysis capabilities. Wrist heart rate technology to track your heart rate with no additional parts necessary. Hazard view reveals hazard locations and distances to water hazards and bunkers. Move bar alerts remind users to stay active. Display shows steps, distance, calories burned, hours of sleep, and time of day. Can track and monitor activities such as walking, cycling, and running. Can be paired with Garmin TruSwing sensor to help nail down your perfect swing. High resolution, touchscreen, in 1 inch sunlight-readable display. Easy to read yardage in all greens. AutoShot GameTracker for fairway shot tracking. High-sensitivity GPS via satellite to show distance to hazards, doglegs, and greens. Shows shape of the green. Enhanced stats to show fairways hit, greens in regulation, and putts per round. Smart notifications for texts, emails, incoming calls, and other alerts directly on the X40. Wireless connectivity to share and upload data to Garmin Connect. 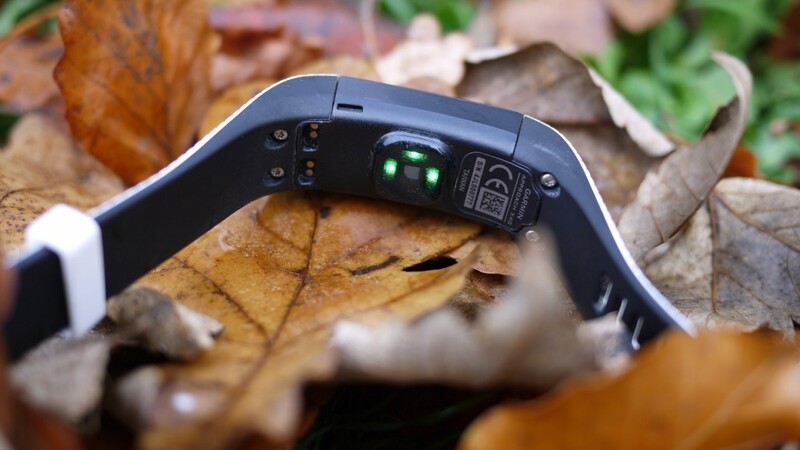 Rechargeable battery that lasts 5 days in activity mode, and 10 hours in GPS mode. Lightweight, sturdy design, with a water rating of 50 meters. Over 40,000 preloaded international courses, along with free course updates. The Garmin Approach X40 is one of Garmin’s latest products that appeals to golf and fitness enthusiasts alike. Combining the advanced technology of fitness tracking and golf tracking, the Garmin Approach X40 makes a great tool on and off the green. It comes with a sleek and sturdy band that looks good wherever you go. The 5 day battery life makes tracking activities throughout the week pretty easy, but will need regular charging to continually use. The X40 is loaded with over 40,000 international golf courses that help users see the precise distances to greens and hazards, as well as track their physical activity on them. Like many other golf activity trackers, the Garmin Approach X40 is a great asset to have on the golf course. It is designed to help golfers better conceptualize new courses or add an element of data otherwise only accessible through eyeballing. The Garmin Approach X40 has become a favorite among golfers and fitness enthusiasts alike because of its fitness tracking capabilities as well as golf course measurement features. The Garmin Approach X40 looks a lot like other activity trackers made by Garmin and comes in a variety of colors, the most popular shown above (frost blue, black, and white). One of our personal favorites is the white, as it’s not only reminiscent of a golf ball but also easy to find if you misplace it. The textured band has a sturdy design and users often don’t have any issues of discomfort or lack of production quality. The black also provides a sleek alternative that provides a more muted fashion accent. The face is sunlight-readable, high-res, and a touch screen display. The Approach X40 comes with a charging clip to recharge either by main outlets or USB. The battery lasts only 10 hours in GPS mode and up to 5 days in activity mode. Looking at the stylish watch, you might forget that it is actually loaded with powerful golf features. The favorite of all of these is the AutoShot game tracking feature. This automatically detects your golf swing and shot distance, and can be paired to other apps to help you nail down your perfect swing. The information is sent to the Garmin Connect golf app, which is available on all platforms, and you can collect a holistic analytical view about your game. Monitoring this over time will help you make improvements to your game based on your previous measurements. If you’re looking for a great golf and activity tracker, you will likely run into a product made by Garmin. The Garmin Approach X40 retails for around $249.99, but there are plenty options to get a brand new one for a lower price. Thanks for checking out our Garmin Approach X40 review. If you found this information helpful, please share with others so they can too! You can read more about the Garmin Approach X40 at Amazon. ===> Visit Amazon.com for pricing and customer reviews. Feel free to contact us any time if you have any questions.